Create completely custom ticket forms using the leading form builder for WordPress. 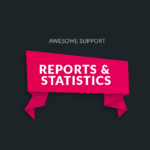 The Gravity Forms add-on for Awesome Support allows you to create just about any version of a new ticket screen or reply screen that you can imagine. 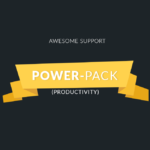 You can then submit all or a portion of the data back to a new or existing Awesome Support ticket! The best way to get a good idea of how this plugin works is to check out the documentation. Most plugins that interface with Gravity Forms only allow you to map one form – we allow you to map as many as you like. We show you the actual field names from the Gravity Forms form so you don’t have to go looking up Gravity Forms field ID numbers! This is the MOST COMPLETE Gravity Forms interface you will find among any WordPress Help Desk plugins – nothing else even comes close! 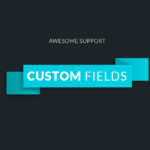 Supports all key fields in Awesome Support including any custom fields you define. Store all data you collect in a form inside the ticket – either in separate standard and custom fields – or as text inside of a ticket or reply. 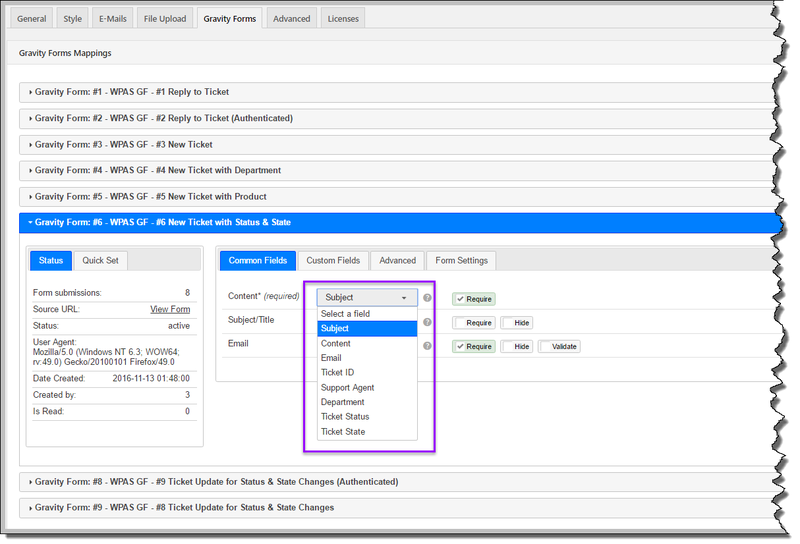 Send data BACK into a Gravity Forms form – this is useful when you want to show a list of department or products or even a list of ticket numbers! Set the AGENT assigned to a form – this allows you to use logic in a Gravity Forms form to determine which agent gets a ticket! What Kind Of Ticket Forms Can You Build With This? The Gravity Forms plugin which you can obtain from the Gravity Forms website (minimum required version is 2.2.3). FIX: Reply forms were not updating the ticket status/state if provided. NEW: Added option to hide the gravity form field ids of unmapped items added to the body of the ticket. NEW: Added option to hide blank fields in ticket body. 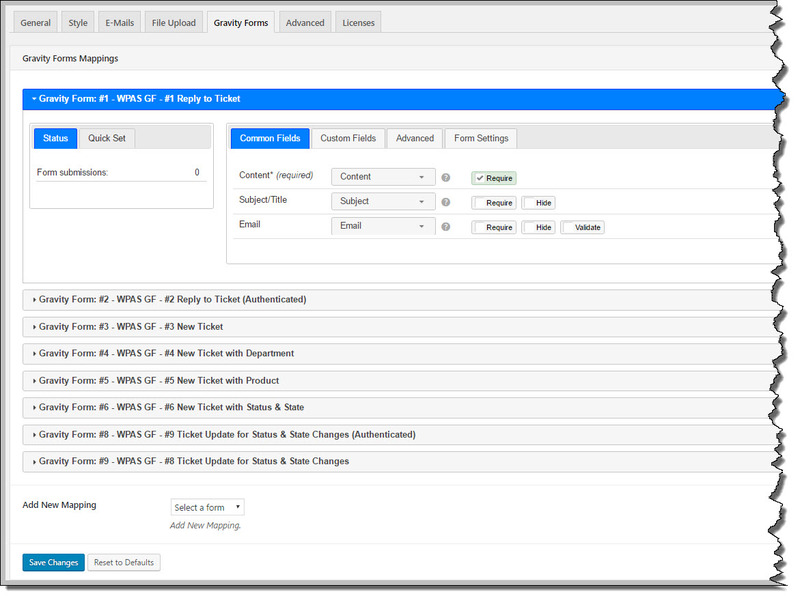 NEW: Revamped entire process of adding tickets so that other add-ons have an easier time accessing and using the data. New: Added options in the ticket mapping screen to control new user emails that are sent out by when a new user is created. New: Add a filter so developers can hook into unmapped fields as the fields are being processed. The filter name is gf_unmapped_field. Fix: A potential PHP notice could be thrown if an email tag didn't have a value and we're trying to log that value to our log files. Fix: When mapping an agent directly, email assignment alerts were sent to the incorrect agent. New: Register a new custom field called gf_close_ticket. If a value of "1" is mapped to this field when submitting a ticket-reply form, the ticket will be closed. address was ignored completely, always resulting in an "invalid ticket id" message. Fix: An attempt was made to access an object element without checking to see if the object was valid. Fix: When an attachment was added to a REPLY TICKET form, it was attached to the TICKET instead of the REPLY. Fix: Check to make sure that there is a value set on a field before attempting to write it to the database to prevent an array index error (issue only showed up with ticket reply forms). Tweak: Prevent scripts from loading on pages that are not related to Awesome Support. Enh: All taxonomy fields can now be "populated"
Tweak: Enforce core AS file upload settings.